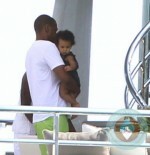 Home » Jay-Z and Beyonce Vacation in The South of France With Blue! 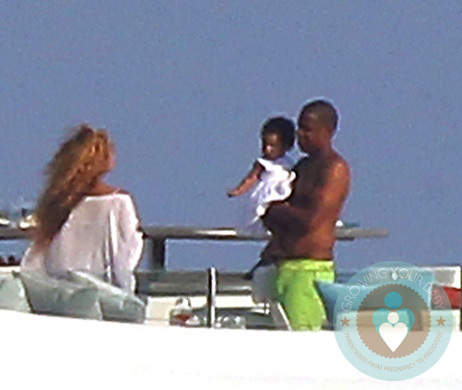 Beyonce and Jay-Z continued their vacation with their baby Blue Ivy through the Mediterranean Sea in the South of France on September, 6th, 2012. Celebrating Beyonce’s 31st birthday and the close of Jay’s Made in America Festival, the happy couple enjoying some time on their yacht with their tiny princess before going to the beach for some couples time. 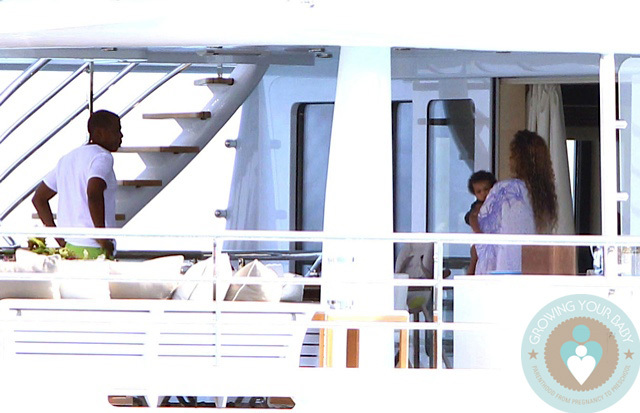 Jay and Beyonce took turns doting on Blue carrying her all over the boat. We don’t often see them enjoying family time together, but it is very clear that she is the apple of their eyes. With two A-list celebrities as parents, Blue will have little to worry about. In recent months she has accompanied her parents while Jay was on tour overseas. The family will be returning home soon so Jay can get ready for a series of concerts he has planned in New York. He will play 8 dates at the Barclay Center in Brooklyn starting on September 28th. David Blaine Piggy Backs His Princess Through The City!